Rihanna keeps a very low profile these days. Long gone are the daily candids so it’s always good to see her out and about. Photographers caught her at LAX international airport yesterday presumably returning from Japan where fans saw her last weekend. Rih’s love affair with Vetements continues as she wore yet another jacket from their collaboration with Alpha Industries. The Barbadian entertainer rocked a grey reversible bomber jacket ($2,365). You can wear it on the grey side or the blue side. 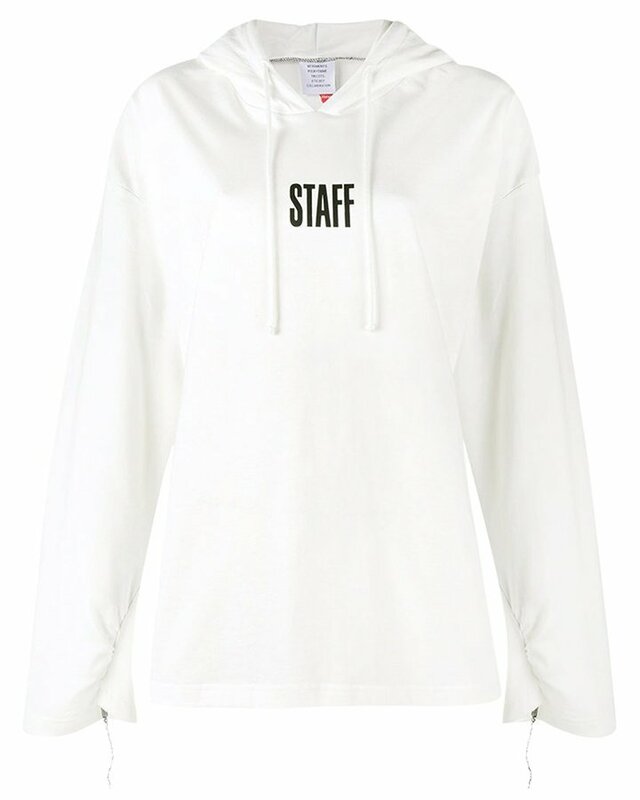 Its features include a detachable drawstring hood, elongated sleeves and gold hardware. Her cotton sweatpants are also by Vetements. The pants boast an elasticated waist and the Vetements logo in white on one thigh. Purchase here for $559. Update: Her cotton hoodie is Vetements x Hanes. The front reads “Staff” and there is also text on the back. Purchase this hoodie here ($620). Rihanna got both the jacket and hoodie from Browns Fashion. She also wore Fenty x Puma black fur slides and white sunglasses by RAEN. These are the same Flatscreen shades ($150) that she wore to the Roc Nation pre-Grammy Awards brunch earlier this year. Her handbag is Dior.